Home › Electronics › Runetz - 15-Inch Black Neoprene Sleeve Case Cover For Macbook Pro 15.4" With .. 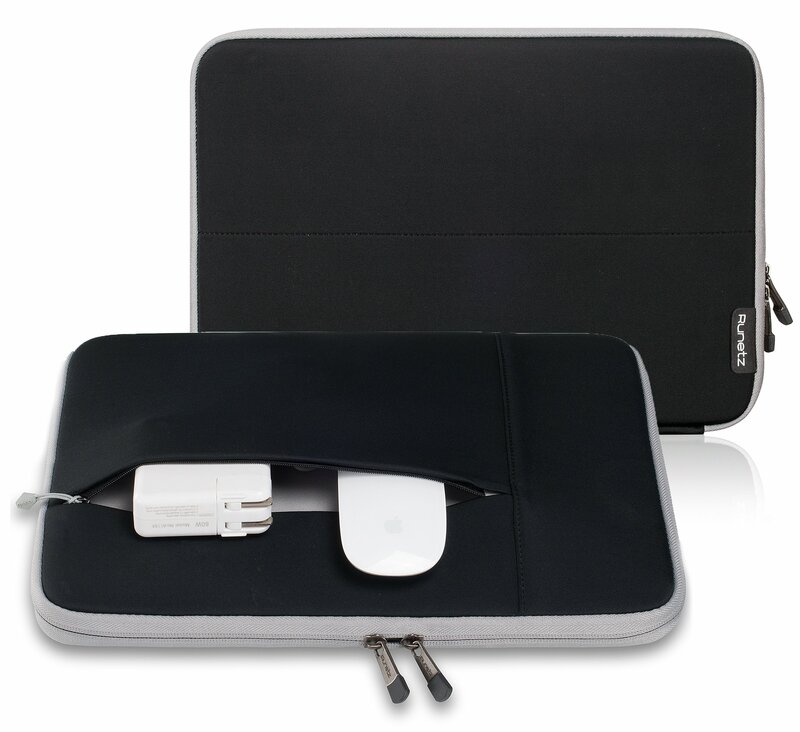 Size: 15.4-inch | Color: Black-Gray Runetz 15-inch Neoprene Soft Sleeve Case for MacBook Pro 15" with or without Retina Display Our Neoprene Soft Sleeve Case for MacBook is equipped with the latesttechnology to ensure optimal protection of your favorite device. The Neoprene Sleeve is designed with a slim fit to avoid any movement in orderto keep your device in place and safe guard from any unwanted accidents. Zipped pocket for organization and easy carry charger and other accessories. Measurements and Sizes: Exterior: 15.5" x 11" x 1" Interior: 14.8" x 10.5" x 0.8" Designed to fit perfectly with: MacBook Pro 15.4" with Retina Display Model: A1398 Release 2015, 2014, 2013 & 2012 MJLQ2LL/A, MJLT2LL/A, MGXA2LL/A, MGXC2LL/A, ME293LL/A, ME294LL/A, MC975LL/A, MC976LL/A, ME664LL/A, ME665LL/A MacBook Pro 15.4" with Regular Glossy Display Model: A1286 MD103LL/A, MD104LL/A, MD318LL/A, MD322LL/A, MC721LL/A, MC371LL/A, MC723LL/A, MC373LL/A This case is NOT compatible with: MacBook Air 11-inch MacBook Pro 13-inch MacBook Pro 17-inch Apple MacBook are registered trademarks of Apple, Inc. Products are Apple compatible and not endorsed by Apple, Inc.